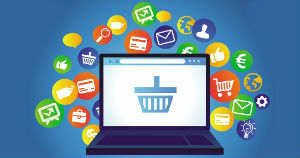 The Polish ecommerce market is booming and is one of the fastest growing within the European Union. Many large, western brands are already reaping the fruits of their investments in that region, however many other e-tailers are still at the expansion planning stage. These common questions are very often asked by our customers when discussing this exciting market and hopefully will help you plan your Polish strategy. 1. How big is the Polish online market? Gemius, a research agency based in Poland, conducted an analysis of ecommerce in Poland in April 2015. According to the research, out of 38.5 million people living in Poland, 77% now use the internet. This makes Lech Wałęsa’s country the biggest Eastern European online market and 7th biggest European market in terms of the internet population – after Russia, Germany, UK, France, Italy and Spain. 2. What motivates Polish people to buy online and who is the typical e-buyer in Poland? This is an interesting subject because up until this year the most common reason was the price of the product. Nowadays, however, comfort and convenience are the biggest motivators behind the online shopping. Knowing that you can buy 24/7 and select from a huge range of choice from both domestic and international e-sellers stimulates Poles to buy online. However, price is still very important. In Poland price comparison websites such as Ceneo and Skapiec (which when translated actually means ‘miser’) are very popular. We really love a good discount or promotion and are happy spending more time researching than the usual European e-customer, in order to find good deals. The Gemius research also revealed that the typical e-buyer in Poland (when looking at the overall percentage of the e-population) is a woman, age 25-34, with at least A-level/ High School Diploma qualification, living in a city and declaring average income levels. In addition, it is estimated that each e-buyer on average spends around £15-16 per month. 3. What about other factors – anything that people targeting Poland should be aware of? Myself and my fellow natives like to conduct thorough research before buying especially when spending a significant amount of money. In fact, this is actually one of the biggest factors why so many of us still don’t buy online. Let me explain. Around 50% of the online shoppers in my home country claim that they research online but purchase offline. This trend actually has its own name and is described as the ROPO effect. It’s a nightmare to measure for analytics guys but marketers should be aware that not having enough information about the product on their website may cause sky-high bounce rates from this type of audience. I remember my Dad doing this type of research before buying a washing machine – he had a huge excel spreadsheet where he would compare anything from energy class, inside and outside measurements, capacity, prices etc. but yet after all these long hours spent online at the end he still bought the product offline. I think this also comes from the fact that we are a bit of a suspicious nation and therefore we prefer to buy from reputable, well known places. Since ecommerce is relatively new in Poland, a small percentage of people, especially the older generation, trust online purchasing. Understanding how other businesses market themselves online can provide useful insights that you can apply to your own strategy, as can taking an in-depth look at the online behaviours of your target demographic in a specific country. We’ll conduct research across a range of platforms and compile a report detailing the tactics and channels utilised by selected businesses, as well as possible opportunities for you to reach your target audience in your chosen market. 4. What are the top product categories that Poles like to buy online? Clothes by far! This is also thanks to companies such as Zalando and Amazon that have recently joined the market and are flooding it with some big discounts and free delivery offers. Further popular categories are white goods, books, CDs (still! ), PCs and mobile phones. 5. What are the popular payment and delivery options? If you are about to enter the Polish ecommerce market you definitely have to take into consideration safety and relevance of payment methods offered. The most popular payment methods in Poland are online payments system such as PayU, przelewy24 and dotPay. They all offer quick payments via bank transfer. Paypal is starting to increase in popularity (especially those who have lived abroad in the past). Also, a relatively small percentage of people still claim that they prefer to pay cash on delivery. The most popular delivery method is delivery by a courier. Some international shops such as Zalando and Amazon managed to grow their market share thanks to offering free delivery and returns, as this is something that some other domestic ecommerce giants like Allegro do not offer at the moment. The second most popular delivery method is via Poczta Polska (Polish Mail). 6. Do Polish web users buy from foreign websites? What are the barriers that would stop them? Most of the e-buyers in Poland currently buy from domestic online shops, with a small 13% buying also from foreign ecommerce shops. 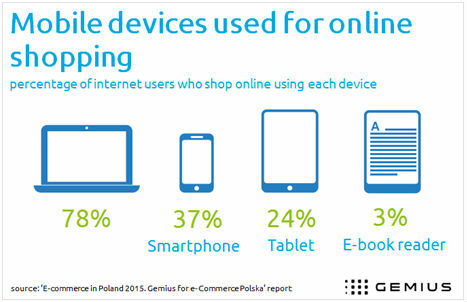 a) Poor mobile websites – Most Polish people buy online via laptops since a lot of the websites are not mobile friendly and perceived as less secure than computers. b) Lack of understanding of what the Polish customer needs – e.g. Poles like clear and comprehensive product descriptions, easy to find return and warranty policies as well as social proof. We like to see that others, similar to us bought from the site but if the opinion sounds too enthusiastic, we can be skeptical and tend not to believe it. c) Unknown payment methods – Offering local payment methods as well as international options will improve conversions. 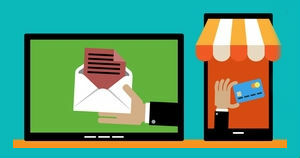 d) Lack of conventional contact details – in case of any doubts or questions we like have an option to contact the seller directly, therefore it is preferable to have a telephone number or email readily available, which would ideally be a local number. e) Poor website language – Although a lot of young Polish people especially speak very good English, as well as other languages such as German or Russian, they still prefer to buy from the websites that explain their offering in our native language in a clear and concise way. The Polish language is one of the most difficult languages in the world and in Polish schools there is always a lot of focus on proper usage of ‘polszczyzna’ – our native language. Your customer will expect the same quality of language from your website and any mistakes will put them off buying from you.